ELT stands for English Language Teaching. 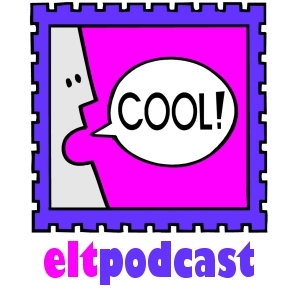 ELT Podcast is the home of several podcasts for learners and teachers of English as a second or foreign language. Theme-based conversations and language practice for students of English, such as EFL, ESL and ESOL. The dialogs have two or more speakers. Read transcripts and listen to mp3 files. See all episodes of this podcast. Theme-based dialog podcasts include language practice for intermediate-level students of English, such as EFL, ESL and ESOL. These conversations have two or more speakers. Read transcripts and listen to mp3 files. Language teachers talking about education and language teaching. © 2006, 2007 ELTpodcast.com. All rights reserved.